Open a new message and select the insert tab. Click on Signature > Signatures. You will be presented with a signature box, click on New. 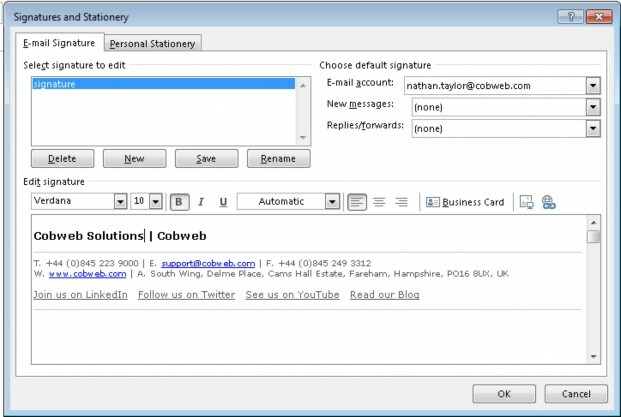 Type a name for the signature in the box, click OK then enter you signature in the Edit signature box. From the drop down boxes on the right hand side remember to choose whether you want the signature to display on new messages, replies, or forwards. Click OK.